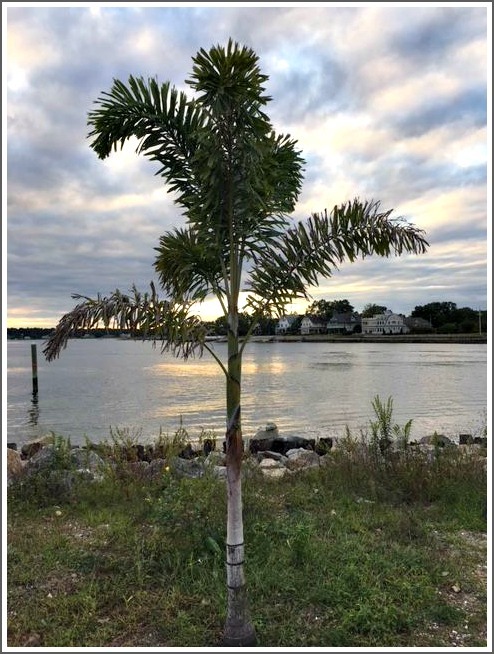 This entry was posted in Beach, Environment, Pic of the Day and tagged Compo Beach palm tree. Bookmark the permalink. Awwww, cute … and just a tad bit sad, knowing it’s facing a winter of discontent (ahem, “non-survival”). But heck, if global warming is imminent, then this little guy can become a Compo regular survivor! ( surely this healthy palm has a winter getaway plan). Beautiful photo and Love the Palm tree! Summer evenings, please don’t go away!